WEST PALM BEACH, Fla. (AP) — Jack Nicklaus pulled into circle drive at The Breakers and couldn’t make it 25 feet to the door without being stopped for a handshake, a greeting, a photo. It was like that for the next three hours and Nicklaus didn’t mind. 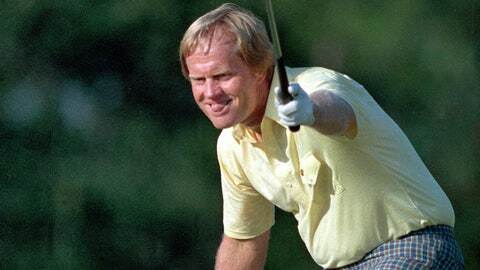 Around the time his father was diagnosed, the son of a Methodist minister where Barbara Nicklaus attended church was battling Ewing’s sarcoma, a rare bone cancer. Nicklaus spent time with Craig Smith, whose favorite color shirt was yellow. Nicklaus told him he would wear yellow when the boy could watch on TV. The 19th Hole Club celebration included a Q&A with Nicklaus hosted by Kim Bokamper, part of the Miami Dolphins‘ “Killer Bees” defense. There was talk of golf, questions that Nicklaus has heard before and a discussion on cancer.